The site of the present house dates back to the 14th century when it was a fortress belonging to Jean Meingre. Over the next few generations, the property changed hands several time, until 1520 when King Francis I arranged for construction of a new castle on the site. Built for his mistress, Marie Gaudin, the wife of Philibert Babou, Superintendent of Finances for France, after her death, the property would remain in the family's hands. 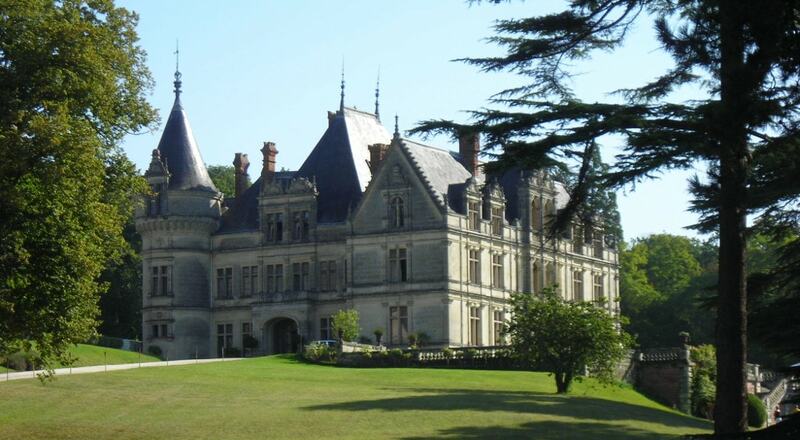 Although a small chateau, when compared to the great chateaux of the Kings and some of those built by other wealthy nobles, it is a magnificent Renaissance construction fronted by traditional French gardens.